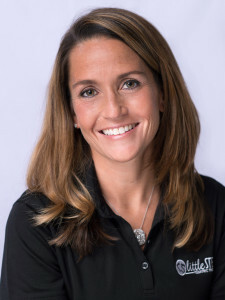 Jaime is the founder of Little Steps Pediatric Physical Therapy, PC. Jaime graduated from the University of Illinois with a Bachelor of Science in Kinesiology. She later went on to receive a Doctorate in Physical Therapy from Northwestern University. Jaime has over 7 years of pediatric experience from birth to 18 years old. She is an Early Intervention certified physical therapist with a special evaluator status. She is a member of the American Physical Therapy Association. She is a compassionate therapist who specializes in a wide range of pediatric conditions/diagnoses including but not limited to: developmental delays, cerebral palsy, Down syndrome, torticollis, medically complex and premature infants. She has worked in a variety of pediatric and adult settings.